As outlined in my article Cosmic Ray Penetration More Prevalent Than Realized, a new study published July 27th in the journal ‘Science’, identifies mantle plumes – viscous molten rock coming from the Earth’s outer core – as the source heated surfaces which include volcanoes and ocean bottom fissures. For more than 2 decades, scientists have pondered the nature of these mysterious regions, sometimes called Ultra Low Velocity Zones (ULVZs). Researchers examining one below Iceland at a depth of nearly 3000 kilometers, now have their answer. This discovery shows molten plumes that shoot out as roots of hot rock that slowly rise through the mantle to feeding a system of volcanoes and fissures. Earth scientists have long suspected that upwellings in these mantle convection currents would manifest themselves as the plumes responsible for Earth’s volcanic hot spots. Now we have started to see them with sophisticated computer models that use the waves from large earthquakes to create CT scan–like tomographic pictures of Earth’s interior; says Barbara Romanowicz, a seismologist at the University of California, Berkeley, and led author of the study. 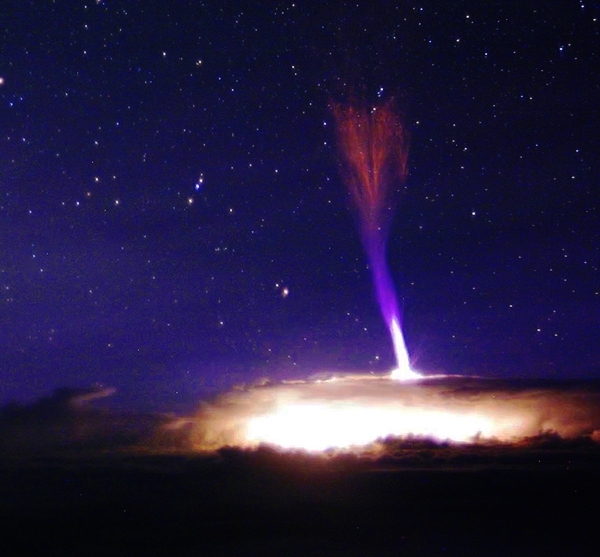 Cosmic Ray bolts have been caught on camera showing extremely rare footage of this phenomenon sometimes described as Gigantic Jets or Stratospheric Thunder Bolts. 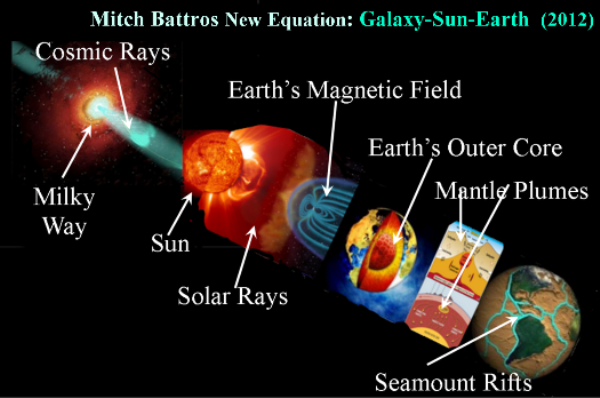 These events are related to another celestial phenomenon known as “sprites” – both of which is the penetration of galactic cosmic rays through Earth’s upper and lower atmosphere. As mentioned in my recent article “Large CME Explodes on Farside of Sun”, the latest research shows cosmic ray dose rates have increased up to 20% in just the last year. My research suggest this has an influence of Earth’s core by increasing temperatures causing Earth to compensate for maintaining its ambient temperature. This is done by sweating…. Just as us humans sweat through our pores to manage an overheated body, the Earth sweats by releasing magma through its pores known as ‘mantle plumes’. As evidenced by space weather balloons over the last two years, a steady increase in deep space radiation is penetrating our atmosphere. This increase is largely due to the decline in the solar activity and a weakening magnetic field. This cyclical trend is expected to continue for a few years. I expect we will see an increase in these galactic cosmic ray thunderbolts. When Earth overheats, it finds its way to maintain its ambient temperature. 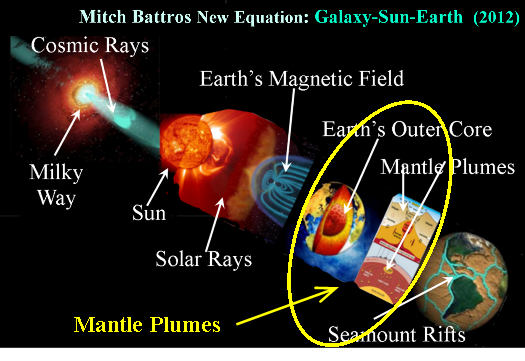 In very much the same way humans sweat through our pores to cool off, in like manner, Earth sweats by producing increased mantle plume activity. New research released this week confirms increased heat from Earth’s core strengthens the flow viscous material (liquefied rock) upward through the mantle having an effect on tectonic plates, including seamounts which in-turn heats the oceans. For decades, scientists have theorized that the movement of Earth’s tectonic plates is driven largely by negative buoyancy created as they cool. New research, however, shows plate dynamics are driven significantly by the additional force of heat drawn from the Earth’s core. 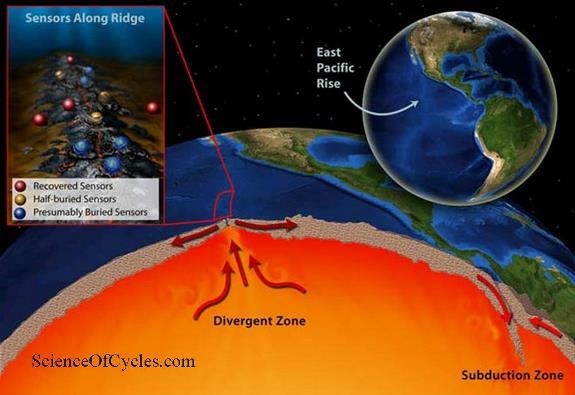 The new findings also challenge the theory that underwater mountain ranges known as mid-ocean ridges are passive boundaries between moving plates. The findings show the East Pacific Rise, the Earth’s dominant mid-ocean ridge, is dynamic as heat is transferred. David B. Rowley, professor of geophysical sciences at the University of Chicago, and fellow researchers came to the conclusions by combining observations of the East Pacific Rise with insights from modeling of the mantle flow there. The findings were published Dec. 23 in Science Advances. 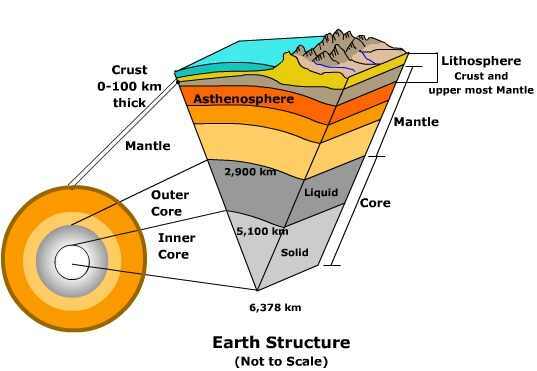 The researchers estimate up to approximately 50 percent of plate dynamics are driven by heat from the Earth’s core and as much as 20 terawatts of heat flow between the core and the mantle. Unlike most other mid-ocean ridges, the East Pacific Rise as a whole has not moved east-west for 50 to 80 million years, even as parts of it have been spreading asymmetrically. These dynamics cannot be explained solely by the subduction of a process whereby one plate moves under another or sinks. Researchers in the new findings attribute the phenomena to buoyancy created by heat arising from deep in the Earth’s interior. “The East Pacific Rise is stable because the flow arising from the deep mantle has captured it,” Rowley said. “This stability is directly linked to and controlled by mantle upwelling,” or the release of heat from Earth’s core through the mantle to the surface. 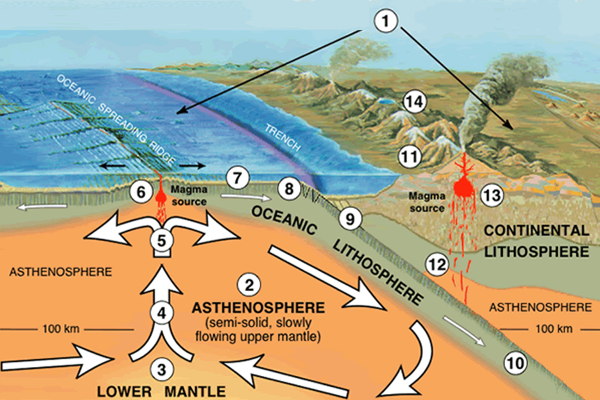 The Mid-Atlantic Ridge, particularly in the South Atlantic, also may have direct coupling with deep mantle flow, he added. “The consequences of this research are very important for all scientists working on the dynamics of the Earth, including plate tectonics, seismic activity and volcanism,” said Jean Braun of the German Research Centre for Geosciences, who was not involved in the research. Convection, or the flow of mantle material transporting heat, drives plate tectonics. 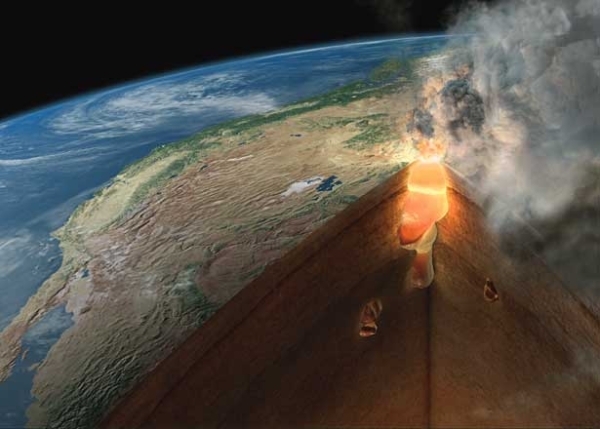 As envisioned in the current research, heating at the base of the mantle reduces the density of the material, giving it buoyancy and causing it to rise through the mantle and couple with the overlying plates adjacent to the East Pacific Rise. The deep mantle-derived buoyancy, together with plate cooling at the surface, creates negative buoyancy that together explain the observations along the East Pacific Rise and surrounding Pacific subduction zones. A debate about the origin of the driving forces of plate tectonics dates back to the early 1970s. Scientists have asked: Does the buoyancy that drives plates primarily derive from plate cooling at the surface, analogous with cooling and overturning of lakes in the winter? Or, is there also a source of positive buoyancy arising from heat at the base of the mantle associated with heat extracted from the core and, if so, how much does it contribute to plate motions? The latter theory is analogous to cooking oatmeal: Heat at the bottom causes the oatmeal to rise, and heat loss along the top surface cools the oatmeal, causing it to sink. Until now, most assessments have favored the first scenario, with little or no contribution from buoyancy arising from heat at the base. 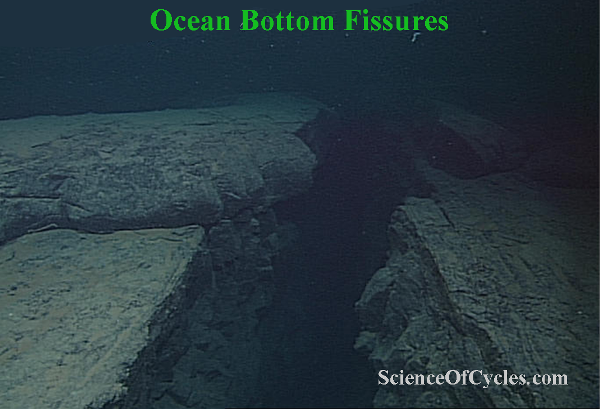 The new findings suggest that the second scenario is required to account for the observations, and that there is an approximately equal contribution from both sources of the buoyancy driving the plates, at least in the Pacific basin. “Based on our models of mantle convection, the mantle may be removing as much as half of Earth’s total convective heat budget from the core,” Rowley said. Much work has been performed over the past four decades to represent mantle convection by computer simulation. Now the models will have to be revised to account for mantle upwelling, according to the researchers. “The implication of our work is that textbooks will need to be rewritten,” Rowley said. 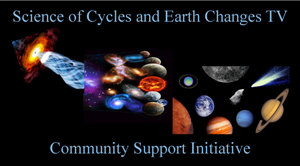 The research could have broader implications for understanding the formation of the Earth, Braun said. “It has important consequences for the thermal budget of the Earth and the so-called ‘secular cooling’ of the core. If heat coming from the core is more important than we thought, this implies that the total heat originally stored in the core is much larger than we thought. 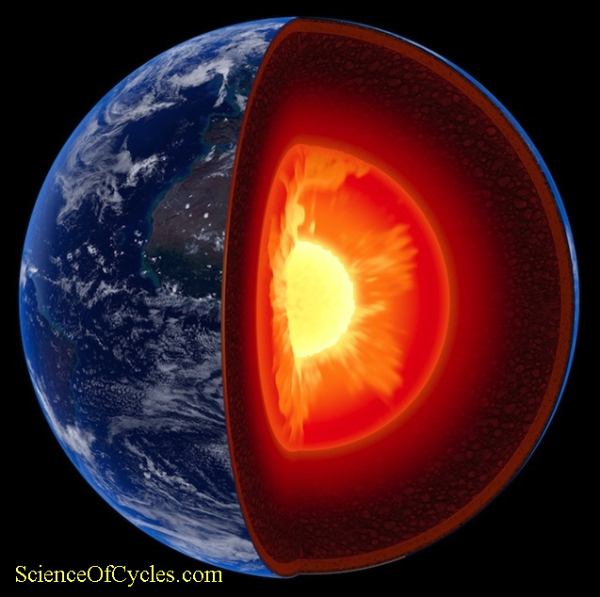 “Also, the magnetic field of the Earth is generated by flow in the liquid core, so the findings of Rowley and co-authors are likely to have implications for our understanding of the existence, character and amplitude of the Earth’s magnetic field and its evolution through geological time,” Braun added. The thinning is related to the cooling of Earth’s interior prompted by the splitting of the supercontinent Pangaea, which broke up into the continents that we have today, said Harm Van Avendonk, the lead author of the study and a senior research scientist at The University of Texas Institute for Geophysics. The findings, published in Nature Geosciences on Dec. 12, shed light on how mantle plumes and plate tectonics has influenced the cooling of the Earth’s mantle throughout geologic history. The mantle is the very hot, but mostly solid, layer of rock between the Earth’s crust and core. Magma from the mantle forms oceanic crust when it rises from the mantle to the surface at spreading centers and cools into the rock that forms the very bottom of the seafloor. The Earth’s mantle has been cooling almost from its creation. The research that led to the connection between the splitting of the supercontinent and crust thickness started when Van Avendock and Ph.D. student Jennifer Harding, a study co-author, noticed an unexpected trend when studying existing data from young and old seafloor. They analyzed 234 measurements of crustal thickness from around the world and found that, on a global scale, the oldest ocean crust examined – 170 million year old rock created in the Jurassic – is about one mile thicker than the crust that’s being produced today. The link between crust thickness and age prompted two possible explanations – both related to the fact that hotter mantle tends to make more magma. 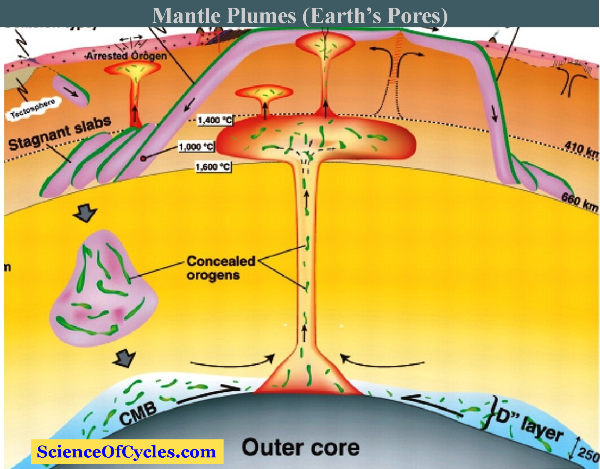 Mantle plumes could have thickened the old crust by covering it in layers of lava at a later time. Or, the mantle was hotter in the Jurassic than it is now. The finding that splitting up Pangea cooled the mantle is important because it gives a more nuanced view of the mantle temperature that influences tectonics on Earth. Scientists analyzing a volcanic eruption at a mid – ocean ridge under the Pacific have come up with a somewhat contrarian explanation for what initiated it. Many scientists say undersea volcanism is triggered mainly by upwelling magma that reaches a critical pressure in the lithosphere and forces its way up. The new study says the dominant force, at least in this case, was the seafloor itself – basically that it ripped itself open, allowing magma to spill out. The eruption took place on the East Pacific Rise, some 700 miles off Mexico. “Mid – ocean ridges are commonly viewed as seafloor volcanoes, operating like volcanoes on land,” said the study’s lead author, Yen Joe Tan, a graduate student at Columbia University’s Lamont – Doherty Earth Observatory. “We’re saying they should actually be viewed as tears in the crust, where magma oozes out.” The study appears in the journal Nature this week. 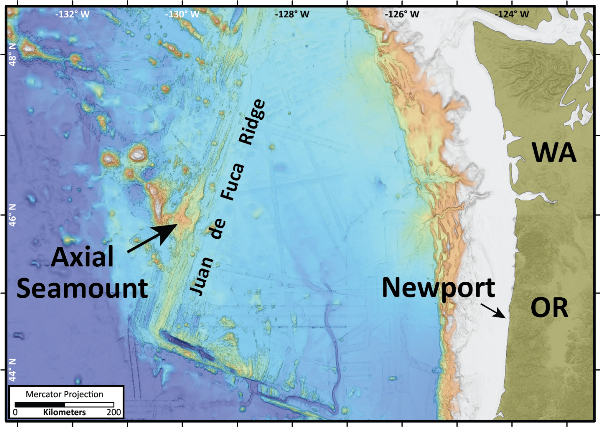 The authors of the new paper took another look after a 2015 eruption at an unconnected study site, at Axial Seamount, off the coast of Oregon. Unlike the earlier East Pacific Rise eruption, this one was studied in real time with an assortment of instruments. Among the data produced were recordings of violent popping noises that appeared related to the emergence of lava on the seafloor – possibly the result of exploding gas bubbles, or implosions of hardening lava. 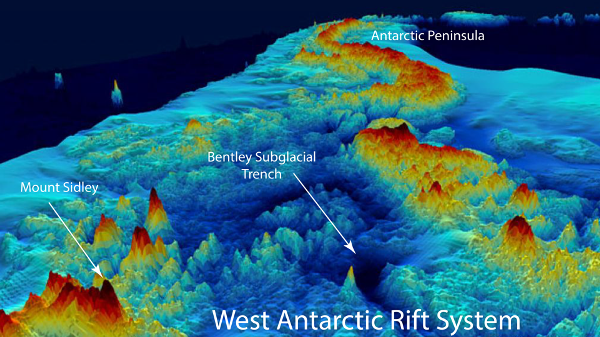 In light of the Axial Seamount observations, the researchers reviewed the 2005 – 2006 data from the East Pacific Rise, and came up with a newly sharpened picture. Their reanalysis suggested that most of the eruption took place rapidly, not over months. Other researchers had already identified a series of conventional earthquakes of about magnitude 2 on Jan. 22, 2006, of the kind usually associated with the rupture of a rock boundary, along a 35 – kilometer – long segment of the ridge. About 15 minutes later, the seismometers started picking up clusters of lower – frequency earthquakes, of a type usually associated with rising magma. Another hour or two on, popping sounds like those heard at Axial Seamount appeared, in four separate areas along the segment, each in an area about 5 kilometers long. The authors say that according to their observations, about 85 percent of the lava emerged within two days, with remnants dribbling out over the course of a week. 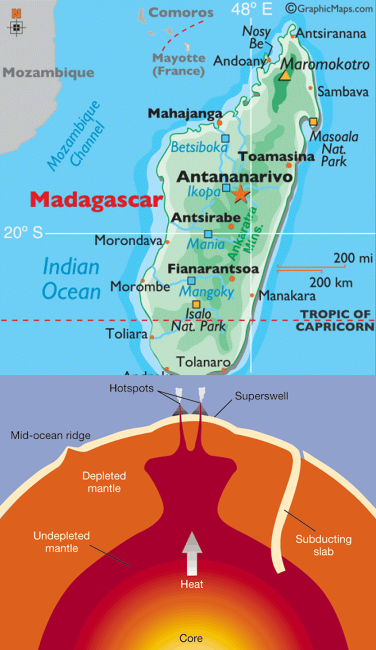 The eruptions produced some 22 million cubic meters of seafloor – about enough to cover 13 football fields 1,000 feet deep. 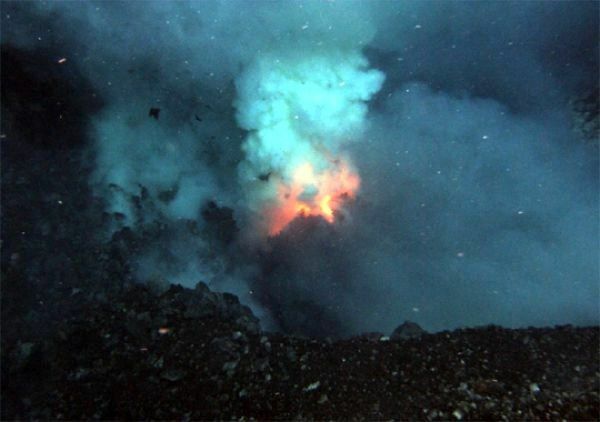 Cynthia Ebinger, a professor at the University of Rochester who studies eruptions at spreading sites both on land and under the ocean, said in an email that very few seafloor eruptions have been so directly observed. The study “adds a new factor to consider,” she said. “It shows that tectonic stresses can trigger large – volume intrusions and eruptions” to create new seafloor. Help us maintain our ability to deliver our findings to a large interested community who has a sense of our direction and the value it brings to both novice and expert alike. A new study has found for the first time that ocean warming is the primary cause of retreat of glaciers on the western Antarctic Peninsula. The Peninsula is one of the largest current contributors to sea-level rise and this new finding will enable researchers to make better predictions of ice loss from this region. 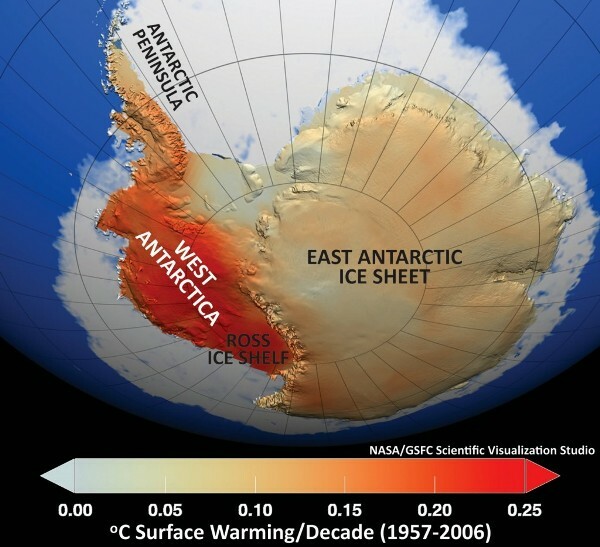 The research, by scientists at Swansea University and British Antarctic Survey, is published in the journal Science today. The study reports that glaciers flowing to the coast on the western side of the Peninsula show a distinct spatial correlation with ocean temperature patterns. Glaciers in the south are retreating rapidly but those in the north showing little change. Some 90% of the 674 glaciers in this region have retreated since records began in the 1940s. “The numerous glaciers on the Antarctic Peninsula give a key insight as to how environmental factors control ice behavior on a wide scale. Almost all glaciers on the western side have fractured ending in the sea. We have been able to monitor changes in their ice fronts using images as far back as the 1940s. Glaciers here are extremely diverse and yet the changes in their frontal positions showed a strong regional pattern. “We were keen to understand what was causing the differences, in particular why the glaciers in the north-west showed less retreat than those further South and why there was acceleration in retreat since the 1990s. The ocean temperature records have revealed the crucial link.” It appears to be regional mantle plumes along the continental shelf. The team studied ocean temperature measurements around the Peninsula stretching back several decades, alongside photography and satellite data of the 674 glaciers. The north-south gradient of increasing glacier retreat was found to show a strong pattern with ocean temperatures, whereby water is cold in the north-west, and becomes progressively warmer at depths below 100m further south. Importantly, the warm water at mid-depths in the southerly region has been warming since as long ago as the 1990s, at the same time as the widespread acceleration in glacier retreat. 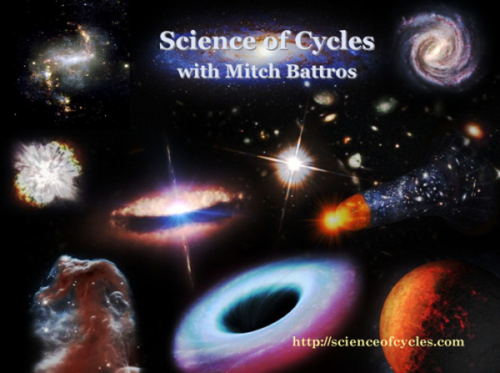 ** Be part of keeping ‘Science of Cycles’ alive and free. Your support is needed to keep this unique and valuable resource. 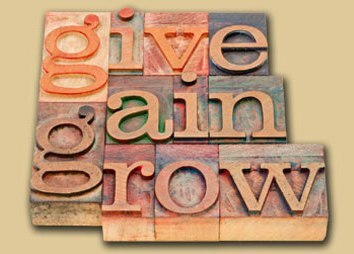 Help sponsor us with your pledge as you see fit to the value you receive from our news service.